I love recital discs. Often, it's by listening to a beloved singer's recital disc that I end up branching out and purchasing a whole opera. Danielle de Niese - "The Beauty of the Baroque"
Olga Peretyatko - "La belleza del canto"
I have the Kurzak CD. Sometimes I hear a hint of Lucia Popp in her voice but she has more of an edge. Also, I think the recording engineers did a terrible job. I hear distortion in the sound. It's not her though--it's the recording quality. Maybe it was just me; I only listened to the disc once. I'm going to listen again. I just got the Peretyatko CD. But I think I am going to love this one. I think she has a lovely, lovely voice. It's clear and warm all at the same time. My biggest surprise was the Prohaska CD. From the video clip, I think she has a wonderful voice that she uses very expressively. I can't find this CD in the US. I'm going to have to do some more digging. But I really want this one badly. Danielle de Niese - Well...I've never been a big fan. I heard her Mozart recital disc and thought it was just okay. I have heard though that she's a singer that you need to see and hear live. The secret is, the DVD/Blu-ray threads can also include CDs. I know, it's complicated especially for new members, but we're about to change it (see the poll about it, and vote, if you haven't). So ideally this post of yours should be merged into the DVD/Blu-ray recitals thread. But I'll let it stand here for a while until people reply, get it going, etc., then later I'll do the merger. Camilla Nylund is one of my favorite sopranos, so when this recital CD was issued earlier this year, I ordered it. 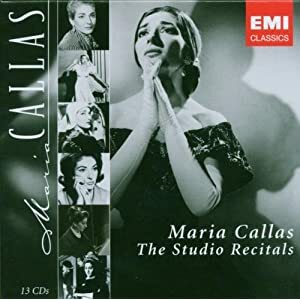 Her selection of arias is confined to Wagner and Richard Strauss, and roles by these two composers do seem to comprise much of her performing career. Reviews in the "trade" media have varied widely -- some loved this recording, others were much less enthusiastic. I enjoy listening to it, but I'll admit to being a little disappointed. She sings beautifully, but real emotional involvement with the ladies she's portraying seems often to be missing. This surprises me, since there is no lack of dramatic engagement in either her Leonore (Fidelio - DVD; Harnoncourt/Zürich Opera) or Elisabeth (Tannhäuser - DVD; Philippe Jordan/Baden Baden Festival), or for that matter, in the title role of the Salzburg Festival Rusalka (Welser-Möst) just issued on CD. Hers is a jugendlich-dramatische soprano, also well suited to more lyrical roles. She has sung many of Mozart's heroines, and it's a pity she didn't include some of them in this recital, as well. Actually, Alma, I think it's clear from the discussions on the CD poll thread that most people would prefer to have separate threads for CDS. Could you wait and see what people think? I for one look either for CDs OR DVDS, and don't want to wade through DVD reviews when I want to buy a CD, and vice versa. In fact I'm not even interested in recitals on DVD. Ideally I'd like to see the CD thread broken up into separate composer threads - just devoted to CDs for that composer - so that I wouldn't have to wade through the whole thread if I wanted to buy, say, a Verdi CD. Last edited by mamascarlatti; Oct-09-2011 at 20:09. This is an unlikely album. Renée Fleming is a great singer, but she is not at her best singing italian opera, and less of all, verismo. made it for me. She wouldn't be able to sing well many of those operas live in the theater, and her style is a far cry from Clara Petrella's or Eugenia Burzio's... but it's really nice. OK, maybe we'll need a CD sub-forum after all. It's still very unclear to me. When we have doubts, we do nothing, and wait for a time of consensus. I think we could simply expand the name of the subforum to include CDs on the name: Opera on DVD, Blu-ray and CD; or "Opera recordings"
"Verdi on DVD and blu-ray"
Almaviva, feel free to move this thread as you feel appropriate. Sorry for the confusion! Perdono, perdono! MAuer, thanks for introducing me to Camilla Nylund. She has a very rich voice. I might pick this one up. schigolch, I love Fleming. I don't have this particular one but it's on my wishlist. She's one of those singers that could sing the Yellow pages and I'd listen. DarkAngel, that looks like a great series. I don't have any Callas recordings. I love Sylvia Sass. Her Lady Macbeth is brilliant. She gives me chills. I also love her Donna Elvira. I am going to be so poor. Here we have a great compilation of this very good singer, blessed with a beautiful timbre, a perfect diction and an impeccable musicality. 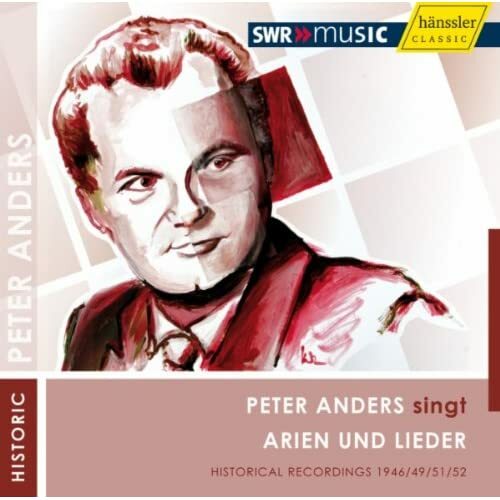 There are some little operatic gems, like the duets with a splendid Sena Jurinac, but the real treaure is the lied part. 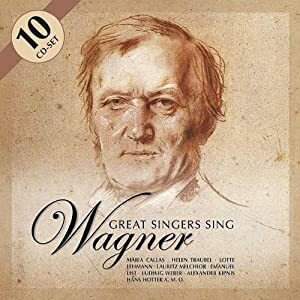 Recommended for all Wagner fans. ^Oh wow, this looks like a great buy! I'll look into purchasing it. Thanks, schigolch. Edit: OK, got it. Last copy on sale from Amazon.com, $19.97. Prime delivery, will be here by Tuesday. Less than $2 per CD, what a bargain!!!! Last edited by Almaviva; Nov-04-2011 at 23:09. Olga Guryakova is a Russian soprano, of the same generation than Netrebko, and I find her really good in this repertoire. I love particularly her Natacha and her Tatiana. However, her incursions in Verdi (Elisabetta di Valois, Maria Boccanegra) or Puccini (Manon Lescaut) are not really successful. Recommended for lovers of verismo, especially of Andrea Chénier. In which album is this song by Philip Glass?